Finnish alternative energy and material company UPM, and its subsidiary UPM Biocomposites have demonstrated the potential of large-scale 3D printing. 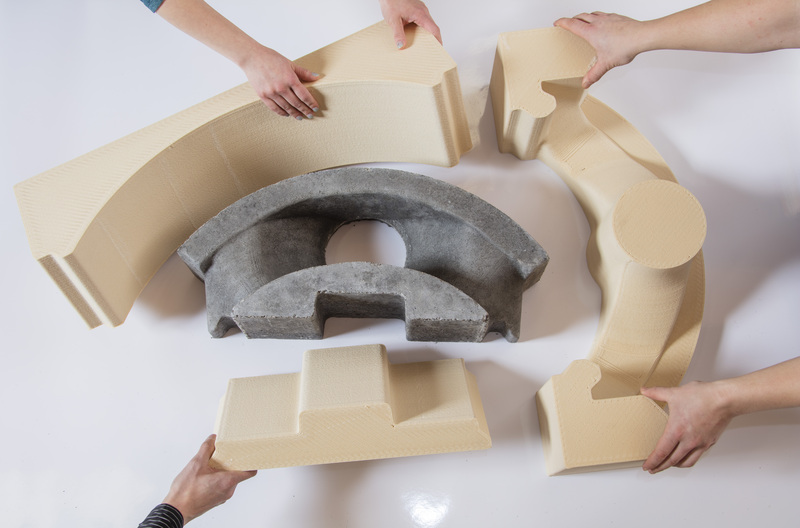 In partnership with robotics manufacturer ABB and FFF 3D printer manufacturer Prenta Oy, UPM has created large components and furniture using its recyclable UPM Formi 3D feedstock. In addition, the company announced that it would be working on a new cellulose-nanodiamond 3D printable material, with nanodiamond additive supplier Carbodeon. Headquartered in Helsinki and founded in 1996, UPM is a company promoting and supporting sustainability in the forest industry. It produces pulp, paper, plywood, bioenergy, biofuels, biochemicals and other wood-derived bioproducts. For 3D printing, the company has its range of UPM Formi 3D materials, which come in both granulated and filament form. UPM Formi 3D materials are made from a combination of cellulose fibers and PLA. They are FSC® and PEFC™ certified, deeming them responsible forested and a verified advanced recycled raw material.